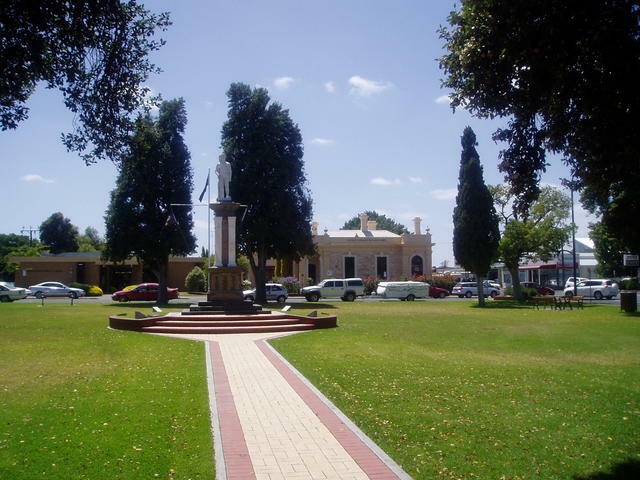 Centre of the town with the war memorial statue. The town is famous for its nearby caves, boasting some of the finest (thin/long) stalagtites. 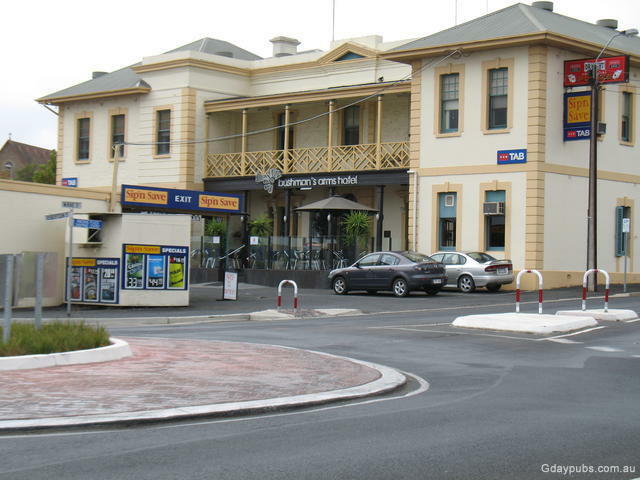 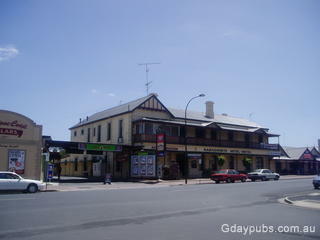 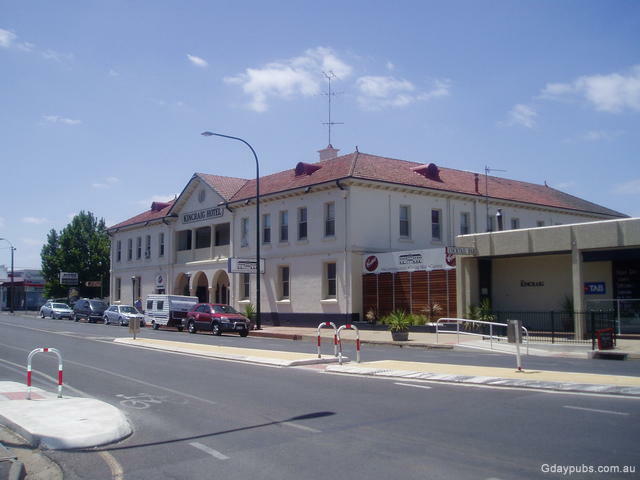 The original spelling of the town was "Narracoorte". 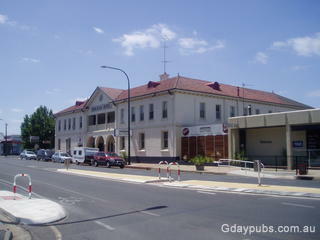 The name was later incorrectly gazetted as "Naracoorte" and that spelling was subsequently accepted.